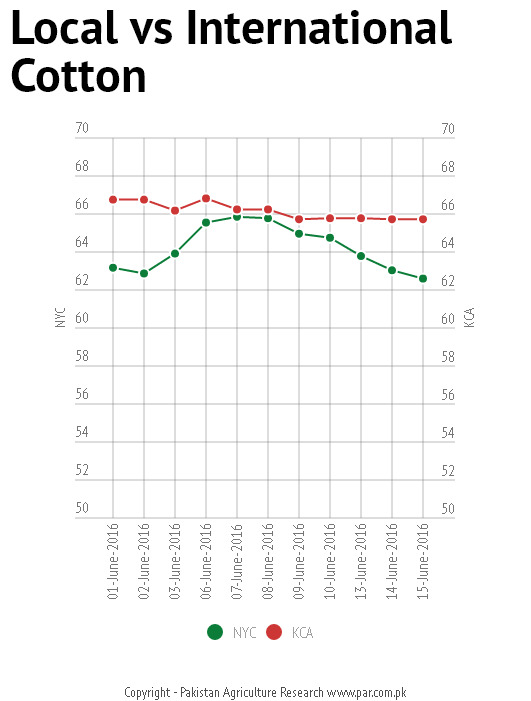 Thanks to the fall in arrivals of seed cotton from the Punjab station, the rates recovered, albeit modestly, on the cotton market on Tuesday, dealers said. 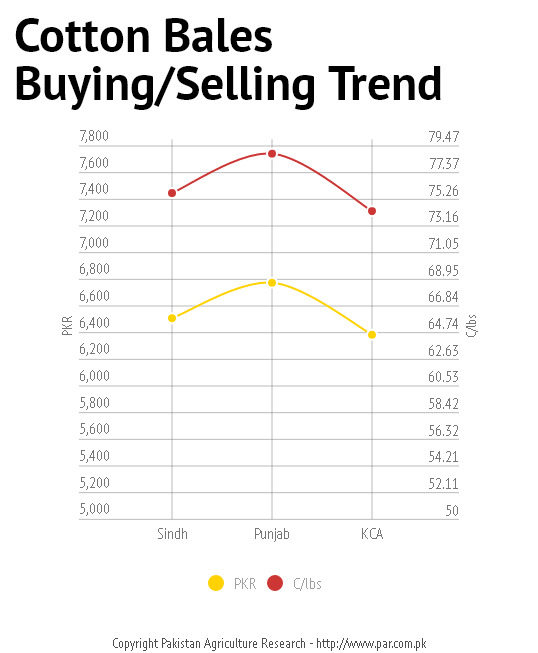 Some brokers observed that prices recovered slightly owing to delay in seed cotton arrivals from the Punjab due to late sowing. 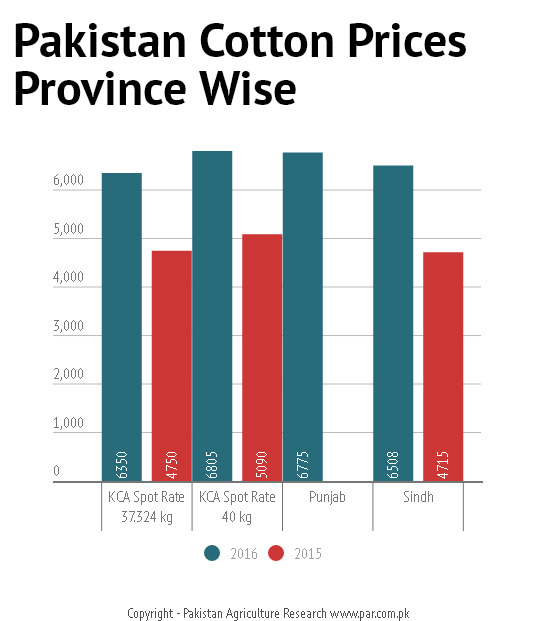 Commenting on the fresh development, cotton analyst, said that decline in fresh arrivals also propelling ginners to raise asking prices, helped prices to halt further erosion in the value. Heavy to moderate rainfall reported in the agricultural plains of Punjab & K.P. Light to moderate rainfall reported in agriculture plains of Balochistan, GB & Kashmir, and light rainfall reported in agricultural plains of Sindh during the last decade. Highest amount of rainfall reported 157mm at Kakul during the last decade. Highest Maximum temperature recorded 46°C at Panjgur during the last decade. Rain/thunderstorm is expected from 22nd to 31st in most of the agricultural plains of the country during the decade. Farmers obtaining crop water through tube wells are advised to schedule the irrigation according to the expected weather mentioned during the decade. Farmers are advised to control further weeds growth at the present growing stages to stop any negative impact over the crops. Weeds removing practices should be started soon after expected rains in the mentioned. Farmers are advised to take in time precautionary measures to protect their crops, livestock and other property from any expected heavy rains. Pest/viral attacks are expected over cotton and sugarcane crops during hot and humid conditions during monsoon. Farmers should be very careful and take in time precautionary measures in this regard. Cotton farmers are warned to take care of their crops during the prevailing wet and humid weather since it amplifies the threat being posed to them by leafhoppers. The warning by the Punjab Agriculture Department came on Monday as a department spokesman urged farmers to carry out twice a week pest scouting and the use of pesticides.